Fun, old Fort Lauderdale. Excellent waterfront real estate & condos. Family options. Walkable. Las Olas Isles fans out along both sides of a stretch on East Las Olas Boulevard from the Intracoastal to its western canal separating the historic thoroughfare’s commercial and residential districts beginning at South Gordon Road. Though it refers to a specific neighborhood within this section, it’s also a general term for adjoining waterfront neighborhoods such as Seven Isles and Idlewyld. Some of the area is gated, though not private, while the remainder’s layout ends in dead-end streets to minimize non-resident traffic. Waterfront property ranges from 50 to 600 feet, and deep water canals and non fixed bridges allow vessels to access open water immediately. Some sections have dry lots, but it’s really about living on the water here. Homes date back to the 1920’s, with new construction of larger interiors and smaller outdoor areas becoming more prominent over the years. 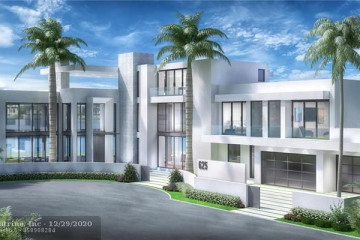 Architecture enthusiasts can still pick up an original, pre-war Francis Abreu mansion, and there are a few mid-rise condominiums interspersed on the finger streets concentrating on Hendricks Isle. Landscaping varies depending on the property’s construction date, with a good portion styled in the Old Florida manner. 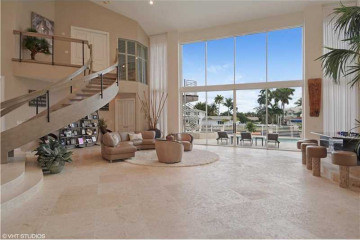 Residents enjoy proximity to a marina, two yacht clubs and Coral Ridge Country Club. 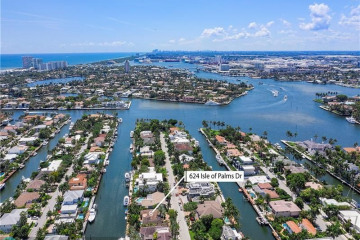 Both the beach and its commercial areas to the east, as well as Las Olas’s famed restaurants and boutiques to the west are all within walking distance. The majority of residents lives here year-round especially in Idlewyld, which caters to families.